After four days worth of family events, holiday shopping and leftovers, it’s time get back to the grind. For some of NASCAR’s biggest name, that means looking back at 2015 with a keen eye on the 2016 NASCAR season. 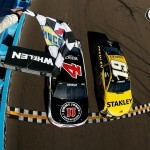 Here are some winners and losers from the past week in this NASCAR recap. 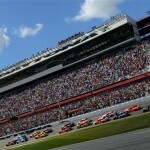 Every year, Jayski publishes the point standings under NASCAR’s original/classic formula. The results aren’t too surprising. Kevin Harvick would have won under the old points system, with Joey Logano 22 points behind and Brad Keselowski and Dale Earnhardt Jr. a distant third and fourth. Then there’s Kyle Busch. In spite of his spirited season, Busch would have finished 20th in the old points system, behind names like Larson, Biffle and Bowyer. It feels like eight years ago, but many NASCAR fans forget Kyle Busch received a waiver from NASCAR to be eligible for the Chase. Busch had to win, and he had to crack the top-30. Neither felt like a lock. Busch was all over TV, radio and the web expressing thanks for his opportunity. While Busch deserves credit for a historic run, NASCAR also deserves credit for giving Busch the opportunity to have an opportunity. Larson was a popular pick to crack the Chase field. He never really got going until the final few weeks of the season. Now we know Chad Johnson will serve as Kyle Larson’s crew chief in 2016. Johnson worked with Tony Stewart the last two years and was with Martin Truex Jr. when he was with Michael Waltrip Racing. The vintage NASCAR numbers show just how down Larson was in 2015. To be precise, Larason was 449 points behind Harvick, 19th overall. He only had five more points than Busch, in spite of Busch missing nearly 1/3 of the 2015 Sprint Cup season. Sophomore slumps are common, and Jamie McMurray’s crew chief change propelled him into the Chase. Maybe the same rebound holds true for one of racing’s most potential-filled drivers. 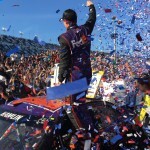 The good news is FRR had its best year ever, with Martin Truex Jr. racing for a Sprint Cup at Homestead. For the sport, the better news may be that Furniture Row Racing plans to expand to two teams by 2017 and hopes to field three Sprint Cup teams by 2020. With Michael Waltrip Racing a thing of the past, NASCAR needs new blood. 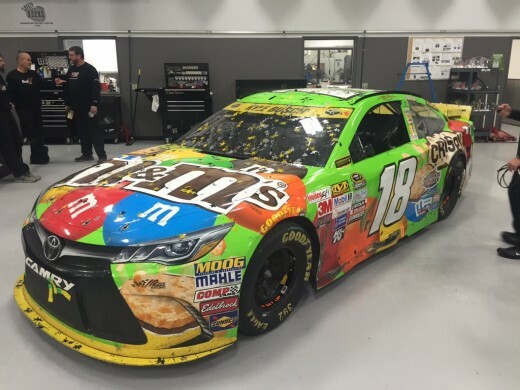 The question is how a team based in Denver hopes to collaborate with Toyota’s racing department, and in particular Joe Gibbs Racing. MWR expressed concern over the lack of collaboration at times, and JGR now fields four competitive teams. Personally, I’m more curious to see how Truex Jr. and Kevin Harvick respond after racing for a title at Homestead but not winning it all. Harvick was the only repeat driver from last year. Will this become a trend? Teams failing to win a Super Bowl, NBA or NHL title have often struggled to get back the next year. NASCAR has a different formula, but all of these sports are mentally grueling. The good news is your favorite Sprint Cup driver has a month to decompress and get ready for 2016. Do the same, enjoy the week and insert a random catchphrase here.